Preventing acnes and pimples and other skin problems can be a hard task. However, if you take care to choose the right type of products that suit your skin type, you can prevent breakouts and get the maximum benefits from creams, moisturisers, sunscreens etc. Oily skin is a skin type where natural skin oil called sebum is secreted at a level above normal. Acne is caused by excess sebum and dirt blocking skin pores. So, if you have oily skin, it means you are more easily vulnerable to acne breakouts, pimples, and other related problems like acne scars and will have to seek out acne treatment, pimple marks removal cream etc. If, in addition to this, you use thick creamy formulations of moisturisers, sunscreens etc., you are aggravating the situation. These cream based products can leave an oily residue on your skin, and thus trigger acne by adding to the skin oil and increasing the chances of blocked pores. So, skin care items for oily skin need to be picked with care. Use water-based formulations that are very lightweight and give a matte look to your face. They help remove the excess oil in your skin and do not add oil themselves. Sunscreens are vital part of your daily use cosmetics kit. You should remember to use them daily to protect yourself against UV rays from the sun. For oily skin, choose a product that is light in texture, and even helps reduce the dullness of your skin and makes it look clean and smooth. Kaya Skin Clinic offers a range of sunscreens for daily use - sweat proof to anti-ageing and the new Kaya Ultra Light Aquagel Sunscreen. Kaya Sweat Proof Sunscreen is not only sweat resistant, it is also non-greasy. Suitable for all skin types, it is a lightweight white colored cream. It contains Aloe Vera that soothes your skin and helps prevent sunburn. It protects you for a long time against both UVA and UVB Rays, and makes your skin feel smooth and silky. This sunscreen is an anti-ageing formulation rich with antioxidants. The non-greasy and light texture of this product makes this a good choice for oily skin. A sunscreen enriched with Geranium extracts and other botanicals, it not only protects you against UV rays, it also nourishes and rejuvenates your skin and helps to keep it ever youthful and supple. This is a broad spectrum sunscreen, SPF 30 and PA+++, so you get the best protection against both UVA and UVB rays. Suitable for oily and combination skins, it also contains Niacinamide, a whitening agent. This helps remove skin tan and lightens skin tone. Ultra Light Aquagel Sunscreen is a recent addition to Kaya’s Sunscreens lineup. The gel based, extremely lightweight sunscreen moves smoothly across the skin, feels cool, and seems to get absorbed instantly, leaving your skin with a matte finish. Specially designed for skin that is vulnerable to acne, it is non-greasy so it will not block pores. Shields you well against both UVB and UVA rays and also against heat, dust and pollution. This sunscreen is PABA-free and fragrance-free. Also contains Niacinamide for lightening skin tone and geranium extract for skin nourishment. SPF 25 and PA+++ rating ensure good protection against harmful sun rays. Use non-greasy sunscreens, products designed for oily or combination skins and those that are specially formulated for oily skin that is more likely to suffer from pimples and breakouts, like Kaya’s new Aquagel sunscreen. Schedule regular facials for acne prone skin to keep your skin healthy and free of blemishes. Reduce the chances of your skin care cosmetics creating adverse reactions, by seeking out the products that best suit your needs and your skin type. Dermal fillers have been used for a long time to restore volume and suppleness to ageing skin. Now new fillers that use alternatives to collagen, like Hyaluronic Acid and Hydroxyapatite are becoming popular choices. Juvederm is a very new Hyaluronic filler. Dermal fillers are used to smooth out wrinkles and to add volume to areas like the cheeks that have lost their fullness and elasticity due to age. There are many different types of dermal fillers and Juvederm is one of newest, recently gaining US FDA approval for use in cosmetic procedures. One of the issues associated with aging is the loss of volume, elasticity and smoothness of our skin. This is especially obvious in the face and neck regions. Cheeks become hollow, the neck and chin regions begin to wrinkle and sag, and other problems like crow's feet and frown lines begint show up. These happens due to the loss of fat and a protein called collagen that adds structure and volume to our skin. Over the years, our body’s own mechanisms begin to disintegrate these substances that give firmness, contours and volume to various parts of the body. Of course, even younger people might be affected by wrinkles and fine lines. These happen due to overexposure to sun, heat, pollution and other external factors, poor dietary habits, inadequate skin care etc. Dermal fillers are a non-surgical solution to deal with these wrinkles, sagging skin and other issues. Juvederm filler is composed of Hyaluronic Acid, a natural substance that hydrates the skin and stimulates collagen synthesis in our body. The Hyaluronic Acid in Juvederm anti-ageing fillers are created through a process of biosynthesis, they are very natural and mostly don't cause any allergic reactions. This filler, in a smooth gel form, comes in pre-packed syringes. When injected, the Juvederm filler smoothes wrinkles, fills out areas like your cheeks, and firms up the skin. Juvederm fillers come in different strengths to target different needs. You get different types of Juvederm fillers for smoothing out wrinkles, for adding volume to cheeks, making your lips appear fuller and so on. Anyone who has wrinkled skin, sagging chin and neck tissues and other related problems can opt for this dermal filler treatment. While smoothing wrinkles, it can also help reduce blemishes like acne marks and age spots or patchy skin. However, it is not suitable for deeply scarred or very thin skin areas. Though Juvederm fillers are safe, pregnant or lactating women should avoid dermal filler procedures. Before the treatment you may be asked to take some precautionary measures. You will be advised to avoid alcohol consumption and refrain from smoking for a few weeks before the planned treatment date. You should also stop taking Aspirin and any anti-inflammatory medicines a few days before treatment. On the day of the appointment for the Dermal Filler procedure you should avoid using any makeup on your face. Juvederm filler treatments are minimally invasive, the fillers are injected under the surface of the skin. The procedure doesn't take very long and results can be seen instantly. Depending on the type of Juvederm filler used, the effects of the treatment can last from six months to two years. The treatment sessions take around 15 to 30 minutes. The gel is injected in the target area and then a slight massage helps to spread the gel evenly across the region. It can fill out deep wrinkles, correct fine lines, and give your face a firmer, even-textured, youthful look. The Juvederm injections contain a small amount of an anesthetic, so you do not feel any pain during the procedure. The Hyaluronic acid used in Juvederm fillers is safe and natural. The filler is made of cross-linked Hyaluronic acid in a gel form. Because of this, the body mechanisms take a longer time to break it down and reintegrate it into the system. So, the effects last for long. Dermal filler treatment from Kaya Skin Clinic uses Juvederm XC to treat wrinkles on face, and to firm up sagging skin. The comfortable, painless treatment session takes 30 minutes and gives you long lasting results. Regain your youthful looks almost instantaneously. The results of this treatment can last for up to a year. Rain or sun, carbon soot or grime; your skin takes the brunt of all. The skin on your face is the most affected, as you can’t keep it covered all the time. All the above factors cause the skin to lose its natural glow and sheen. Kaya offers a wide-range of facials to eliminate all skin woes. Does your face appears dull and lifeless? The sun and the pollutants can really be harsh on your skin; they can rob your skin from its natural flow and load it with grime and dirt. Removing tan and eliminating dirt from the skin isn’t easy. Deep cleansing, exfoliation, and nourishing can only help your skin to bounce back to being youthful and radiant, and a facial offers just that. Why You Need a Facial? ● Facials help to cleanse your skin. Dirt and grime settle on the skin and make it look dull and lifeless. Facials deliver deep cleansing, right from the skin pores. ● The gentle massage during a facial improves blood circulation and improves skin elasticity and also prevents premature aging. ● Facials improve lymph drainage and help the skin eliminate toxins. ● Facials stimulate collagen production, helping keep the skin stay firm and youthful. To make sure that you rake in the above benefits, book an appointment at a reputed skin care clinic, and Kaya is one of the best available options you have. There are many types of facial and depending on your skin type. Choose between facial for dry skin and facial for oily skin. Kaya Skin Clinic offers varied facials depending on your skin type and needs. Dry skin leads to dullness. You can now beat the dry skin at a Kaya Skin Clinic. The Hydrate and Restore facial combines a hydra-exfoliation process followed by a Hydra Nourishing Massage cream. Add-ons like enzymatic wax regenerates skin cells. For the perfect finish, a vitamin C enriched serum and a rehydrating mask retain the moisture in your skin, making it supple and radiant. This is the best for detox. Jet spray technology expels impurities and clears up the skin. A vitamin C enriched potion treats free radical damage. Mulberry extract infusions and a gentle massage with Patchouli and Neroli makes you feel clean and relaxed. The USP of this therapy is it suits all skin types. If you’re worried about your oily skin, this is the right facial for you. Botanical extracts are used to soak up the excess oils from the face and keep it free of impurities. Vanilla exfoliating jelly is used, followed by infusion of Kaya Comedone control serum that visibly reduces blackheads and whiteheads. A purifying mask of Algin and clay tightens the skin and renders a natural glow. Touted as the best facial that beats skin aging and brings the best out of your skin, this facial endows a luxurious glow that stays for weeks. 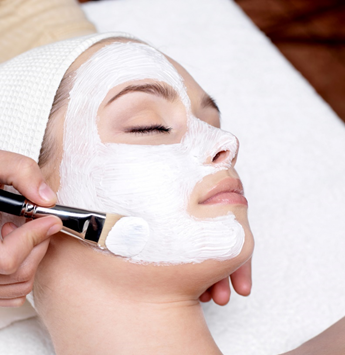 A must-to-do bridal facial, this facial involves a 4-layer procedure. Seaweed filtrate concentrate keeps the skin moist. The next step involves a relaxing massage with a unique hydrating lotion, followed by fresh seaweed mask that soothes the skin. The grand finale is the mineral mask that warms the skin to absorb the seaweed mask. The end result is fresh, glowing, and rejuvenated skin. For sun-affected skin, Kaya Skin Clinic Lighten and De-tan facial is the best remedy. Beginning with exfoliation, followed by microdermabrasion, a de-tan process is taken up to reduce free radical damage. Vitamin C enriched infusion followed with a Biowhite face mask help to lighten the skin tone. Choose any of Kaya’s beauty facials and be privy to soft, supple, glowing and relaxed skin. There is one to suit every skin type. What are the different types of Skin Pigmentation? Pigmentation is a common problem faced by everyone. Pigmentation can be a particularly difficult problem to treat. Pollution and an unhealthy lifestyle often contribute to it. It surfaces as uneven skin tone which can become difficult to mask. If you’re looking for a treatment option, then here are a few candidates. The first step in treating pigmentation is to understand the kind of pigmentation that has affected your skin. Pigmentation can be classified into 3 types: epidermal, dermal and mixed. All of this can lead to unwanted skin tanning. If left untreated for long, pigmentation can lead to more permanent skin issues, including the general presence of age spots or patchy skin, and skin dullness. Understand which one you’re at a risk for, and what treatment option best suits your needs. On a basic level, pigmentation exists in more than 50 forms. This may seem overwhelming, but understanding the classifications will make things clearer. Epidermal: This is also known as superficial pigmentation. This pigmentation is on the outermost layer of the skin and comes in the form of age spots, freckles, and sun spots. These dark spots have well defined margins, and are light or medium brown in colour. Dermal: This kind of pigmentation is known as deep pigmentation. It includes skin conditions like post-inflammatory pigmentation, nevus of ota, etc. These marks include post acne blemishes are lighter in colour without defined lines. Mixed: When pigmentation affects both the dermal and the epidermal layers, it becomes a mixed kind of pigmentation. This is known as Melasma and affects most women who are well past their middle ages. On the basis of how severe the skin problem is, your dermatologist would recommend a variety of treatments. Here are a few treatment options depending on the extent of your pigmentation. Epidermal Pigmentation can be reduced in intensity with timely use of topical treatments that address the main issue. They must be dermatologically made with ingredients that work with your skin and reduce the discolouration over time. This is most commonly used to treat dark circles. Some common effective treatments for pigmentation include Kaya’s Brightening and firming under eye serum. A more intense topical therapy is the Insta Brightening Micro Mask. Each of these treatments require time and dedication, but the payoff is definitely worth it. A healthy skin care routine should ideally also include a face cleanser and serum, which is more applicable for those who have oily or combination skin. The Brightening Beads cleanser is a safe option, as it maintains the moisture content of your skin. It cleanses skin without leaving it too dry. The Pigmentation reducing complex brighteningserum can help you maintain a youthful glow. Dermal Pigmentation goes deeper into the skin, and is more long lasting. This kind of pigmentation calls for a different treatment. And facials and laser treatments are often more effective in this case. Kaya’s Q-Switch and Insta Clarity Laser can help you get clearer skin in just a few appointments. As for Mixed Pigmentation, it occurs when your skin is a combination of both epidermal and dermal pigmentation. In this case, it is best that you visit one of Kaya’s expert dermatologists to help you determine the best combination of treatment. What Kaya can offer to do away with Pigmentation? Lasers and facial treatments are procedures that require skill, and it is best that you reach out to certified doctors using safe techniques and treatments for your skin. Kaya Skin Clinic has a popular laser treatment, Insta Clarity Laser/Q-switch that has garnered much buzz lately because of its efficiency. This is particularly used to treat hyperpigmentation. The invisible beam of light is concentrated directly on the melasma to remove the pigmented portion, without leaving any negative effects on the surrounding skin. This is a chemical peel specially crafted to reduce pigmentation, and it gives you results almost instantly. The formula is a gentle combination of derma peels and botanical actives that contribute to a better cell turnover and prevents excessive production of melanin, thereby maintaining an even skin tone. Some popular facials from Kaya Skin Clinic include the Lighten and De-Tan Facial that is especially popular during summers. These five step facials include exfoliation, de-tanning, moisturisation, detoxification, and skin brightening. 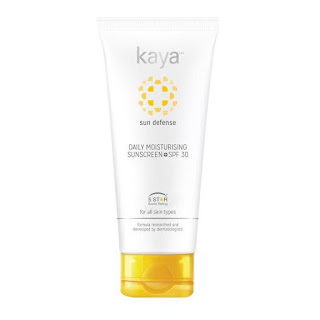 Some reviews by Kaya’s customers claim that the ill effects of the sun virtually disappear. Depending on the extent of pigmentation on your skin, a Kaya expert dermatologist can either suggest one of these treatments or a combination of treatments to best help you get rid of pigmentation and help restore its natural beauty. Is flawless skin too much to ask for? A late night of work or fun leads to dark circles around your eyes. Got a party coming up? Oh wait, I spotted a zit. “Acne is a skin condition that happens when hair follicles are clogged with oil and skin cells”. It is a common problem for all of us. Some say that it occurs due to hormonal changes or during the onset of puberty. We are often told to avoid food that are either greasy or full of sugar because too much can cause acne. Though these foods may not be good for our health, they are certainly not the actual cause of acne. Besides taking good care of your skin, it is recommended that you always wear sunscreen when you spend a lot of time under the sun. There are a lot of effective sunscreens from Kaya from which you can choose from. Acne is caused due to excess production of sebum, caused by the hormone testosterone that is present in both female and male. Excess oil production causes acne. It is hereditary, like your facial features. So if your parents have acne, it is most likely that your skin is conditioned to get it too. Acne mostly appears on your forehead, face, back, and shoulders as these body parts have the most oil glands. Dust, pollution, forgetting to remove your makeup, or not washing the face as frequently as possible can cause acne. Our face is our identity, then why not take good care of it? Skin care is essential; our skin is the largest facer against infection that we can get. Keeping our skin healthy helps keep this facer strong. Products used for your skin care should be free of chemicals or scents. They should be gentle and moisturizers should be used every day. Genuine skin care keep the surface layer of our skin flawless and unblemished. Harsh cleansers are known to damage the outer layer by stripping moisture. A proper skin care regimen helps preserve to your skin. Develop a daily skin care routine that cleanses and protects your skin. What better than Kaya Skin Clinic services and products which are dermatologically tested and skin expertise. ● A purifying cleanser removes excess oil and impurities. ● A purifying toner, that exfoliates and opens up the clogged pores. ● A purifying nourisher makes your skin soft and supple. ● A purifying Spot Corrector, a light formula that helps in fading the acne marks from your face. It is the best cream for pimples. Kaya Purifying Spot Corrector is a must have product. From treatment of acne scars to gradually making them fade away, it is the best pimple marks removal cream. All skin types can benefit from these skin care products. Kaya’s services and products are used by customers all over the world and it delivers efficacious results. ● Advice related to the right diet. Kaya’s Acne 360° Rapid Clear Treatment controls moderate to severe problems of acne. 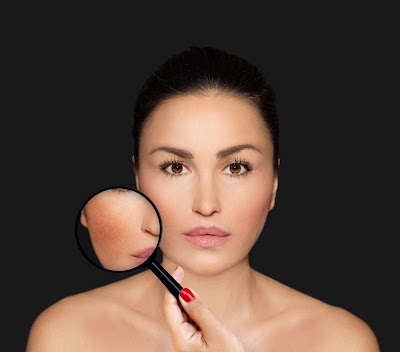 They do in depth analysis of the problem followed by several steps that focus on clearer and healthier skin. Kaya Ultra-Light Aqua gel Sunscreen with SPF 25 is a PABA free product which gives a cooling sensation. It comes with matte finish and to top of it all, it prevents your skin from further breakouts too. There are Kaya products, which are proven and with collagen repair that improves the damage. Kaya’s Skin Clinic products and services are proven to bring back your skin’s beauty. Book an appointment today and see for yourself. Kaya has increased its reach to more than 100 clinics. Find closest Kaya Clinic store in Mumbai, Bangalore, Kolkata, Delhi. Are you bothered by the hair in areas that should be smooth and hair-free? Facial hair in women, underarm hair, hair on arms and legs - all these can be causes for concern. Look for permanent solutions using laser hair removal technology. Check Kaya’s website for more details. Tweezing, threading, waxing, electrolysis, depilatory creams, epilators, and shaving - all these work in different ways and are effective for a few days to a few weeks. Most of these are also painful methods of hair removal. Tweezing involves plucking out hair one at a time. It is very painful and needs to be done with care to achieve good results. It works best for small areas, like eyebrows. Threading also involves plucking out hair, but you can remove more hair at a time. Electrolysis uses a needle to deliver a small electric shock to individual hair follicles, which destroys them. The process can be a bit painful, but the results can be long lasting. This is best suited for smaller areas. Shaving and using depilatory creams can be less painful methods of hair removal, effective on larger areas. Epilators can also be used to remove hair from larger areas like arms, legs etc. It can be a painful method though the results last longer than with shaving or depilatory creams. Waxing is a popular method for hair removal over larger areas. It can be painful, but your skin will be left looking smooth and hair-free. It will prevent the growth of coarse hair, the effect will last longer, and can eventually slow down regrowth of hair. However, the only (and major) problem with these hair removal methods is the fact that the result isn’t permanent. You have to plan well in advance and make appointments to get your body hair removed. And if some sudden plan is made, you’re forced to compromise on what to wear. Using Laser hair technology, Kaya Clinic offers a safe and more permanent solution for getting rid of unwanted hair in small or large areas in any part of your body. You can read Kaya skin clinic laser hair removal reviews online to get an idea of the treatment and its effects before trying it yourself. At Kaya, the Laser Hair removal treatment is approved by the US FDA and is appropriate for Indian skin. Depending on your skin type, hair regrowth pattern and other factors, you will need to attend a few sessions each lasting for about half an hour to one hour. Once the treatment sessions are complete, you will be hair-free and your skin will feel smooth and silky for months afterwards. In some people, the result can last for even up to two years. Laser-based Permanent Hair removal can be safe and effective if performed by expert dermatologists, something that is offered by Kaya. This leaves you free of worry about having to fix appointments for waxing sessions and for threading or tweezing. Laser hair removal gives longer lasting effects and is comparatively pain-free. Kaya uses two types of laser hair technology for hair removal, both US FDA approved, and they are both suited for Indian skin types. After hair removal sessions, you need to diligently use sunscreens to protect your skin. Laser treatments can make your skin more sensitive to sunlight. Kaya Hair Free Gentle Touch involves the use of ND-Yag laser technology. This uses laser light beams that target the darker hair pigments and uses the laser’s heat to destroy hair follicles. Cooling gels are used to reduce the effect of the heat of the laser beams. Kaya Painless Hair Reduction treatment uses a special technique called IN-Motion technology and uses infrared laser pulses of less intense heat. The pulses of laser are applied repeatedly in a sweeping motion across the target area. This slowly builds up heat to destroy the targeted hair follicles. This technology, combined with a patented DualChillT treatment tip, helps keep the skin surface cool. Laser treatment for hair removal cost changes from time to time, so keep checking online. You can take advantage of special offers and discounts to save money. Be free of worry about visits to salons for normal hair removal treatments that only give short term results. Choose the laser hair removal technology that best suits you at Kaya Clinic. Get hair-free, smooth skin that lasts much longer, so that you can always be ready for any occasion, and always wear your favorite outfit. Everybody wants to look their possible best. But often due to various reasons such as dirt, sunlight, pollution, oil, weather, and skin type, acne and pimples are formed, which can affect your beauty. Acne and pimples are formed due to clogged pores that occur due to accumulation of oil and dirt in them. Dead skin cells, dirt and oil when retained in the skin, generally lead to skin infections, causing pimples. So it is necessary to get acne and pimples treated as soon as possible. Acne treatment can not only clear pimples and acne but can also remove the scars and marks that are left behind by them. It is important that you choose the right treatment for your skin because sometimes, treatment for acne scars and pimples may not be effective and can even damage your skin. Kaya Skin Clinic is a pioneer when it comes to your skin needs. They are experts in dealing with skin problems and have several services available according to the needs of your skin. They have the best cream for pimples and also offer the best treatments for acne and acne scars. Read on to find out what causes acne and pimples and how Kaya Skin Clinic can help you treat them effectively. Acne or pimples are a common skin condition that occur usually during the onset of puberty. Various factors that contribute to acne, like age, lifestyle, atmosphere, stress, hereditary traits and hormonal changes. Unclean skin products when used can also cause pimples when used directly. When sebum, a natural oil that is present in our skin to provide lubrication and protection, gets plugged to a hair follicle and gets entrapped, acne is formed. When left untreated, acne can give raise to multiple bacterial infections on the skin. Severe occurrence of acne requires medical attention because they leave scars before fading out. When it comes to acne treatment, cleansing is the number one step. Cleansing your skin regularly opens up your pores and allows the skin to breathe. This prevents the accumulation of sebum within the follicles and encourages a smooth blood flow. Kaya Skin Clinic’s Advanced Acne Care Kit has a series of products to provide the best treatment for acne and pimples. The first product in this care kit is a Purifying Cleanser. This gentle cleanser can be used every day to cleanse your skin from the roots and removes excessive oil and dirt, leaving your skin clean and fresh. The Kaya Acne Purifying Cleanser contains Salicylic acid which is known to moisturize your skin and prevent it from drying. Exfoliation can be done with mild scrubs, peelers and other skin masks. This helps in removing the outer layer of dead skin cells to allow a fresh layer of skin cells to surface. This also removes dirt from your pores, keeping them clean. Purifying Toner, the second product of Kaya Skin Clinic’s Advanced Acne Care Kit, exfoliates the skin and unclogs the pores. It contains mandelic acid that gently exfoliates your skin while removing excess oil. The niacinamide in the product also helps reduce acne scars. Usually, the scars and marks left behind by acne and pimples fade away in time but sometimes they linger for a long time. One of the best solutions for pimple marks removal is the Purifying Spot Corrector of the Kaya Skin Clinic’s Advanced Acne Care Kit. It is specially designed to remove blemishes, scars and marks on the skin. It contains salicylic acid and glycolic acid that further help in treating acne. The zinc sulphate in it, clears and tightens the skin and increases the rate of skin healing. Providing the right kind of nourishment, keeps your skin young, fresh and soft. There are various milk creams that are available in keeping your skin hydrated, but one of the best amongst them all is the Purifying Nourisher. This product is the final piece of the Kaya Skin Clinic’s Advanced Acne Care Kit. It contains sodium PCA that keeps your skin soft and supple. While pimples and acne look like a severe problem, their treatment is fairly simple, especially with Kaya’s expertise in skin treatment. If you are doubtful of the effectiveness of this kit, you can even check the reviews of the product on the internet. This will not only help you understand the kit better, but can also help you understand its results. Everyone, man or woman, would like to remain ever youthful, with smooth, blemish-free, firm, supple skin. Nevertheless, as we age, our skin tends to lose volume, gets wrinkled and blemished. So, can issues like crow’s feet and frown lines be fixed? When we are young, our body has all the necessary proteins and compounds that make our skin soft, supple, contoured and healthy. As we grow older, proteins like Collagen that give structure and volume breakdown. These and other factors lead to our skin losing its firm youthful looks. Wrinkles, fine lines, sagging skin are some of the issues that begin to alter our appearance drastically. Not just age, other factors can also cause wrinkles and blemishes, like spending a lot of time outdoors, not taking proper care of our skin and so on. Whatever the reason, all of us want to get rid of dark circles, wrinkles and other issues to remain looking young for long. Besides regular skin care and anti-ageing products, you can also examine options like Botox and dermal fillers to address more severe issues. Botox is used to correct dynamic wrinkles that are caused by muscle activity. Dermal fillers can be used to remedy deep wrinkles and to fill out hollow cheeks. Botox is a trade name, a registered trademark of Allergan Inc. This product is derived from a potent bio toxin made by the bacteria Clostridium Botulinum. This is a neurotoxin which paralyses muscles. This toxin can cause an illness called Botulism, which can be fatal. However, there’s nothing to worry about. Botulinum Toxin Type A or Botox, is a purified form of the toxin used in cosmetic and medical procedures. Administered carefully in minute doses, this product can actually have beneficial effects. Besides cosmetic uses, Botox is also used in treating medical conditions like migraine, uncontrollable muscle spasms etc. Botox is an effective treatment for wrinkles caused by muscle activity. These are called dynamic wrinkles. For instance, frown lines between your brows, and crow’s feet in the corners of your eyes are caused by muscle contractions when your frown or laugh. When you are young, they appear only when the muscle is actually being used. 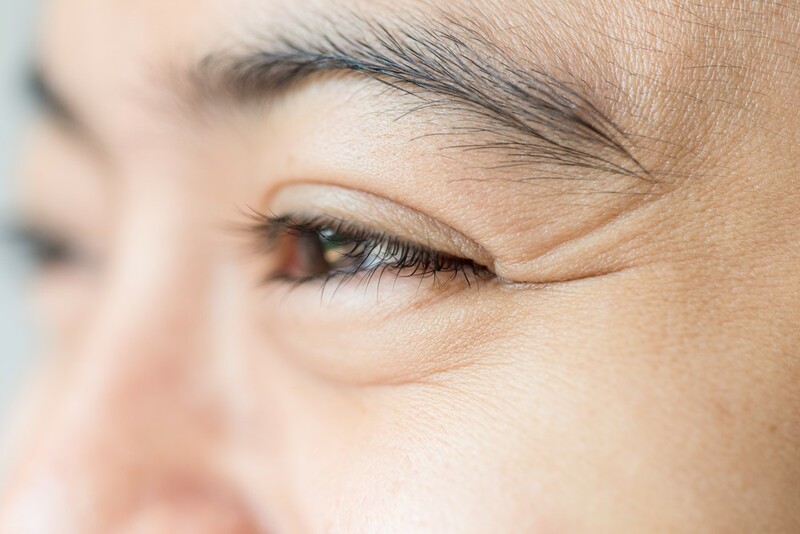 Your eye corners crinkle up when you laugh, the vertical lines appear between your brows only when you frown. However, the temporary wrinkles and lines get embedded into your skin when the muscles are used repeatedly over a period of many years. The only way to stop these creases from getting worse is to stop the muscles from causing these lines. Botox works by blocking nerve signals that activate these muscles, so that they always stay relaxed. This helps in reducing the wrinkles and lines. Kaya uses Botox to treat wrinkles on face and dark circles. The process begins with a consultation with a dermatologist who will assess your skin issues, and also get to know your medical history. This includes any medical conditions you have, medicines and supplements you are currently taking, any allergies you suffer from and so on. Based on all these and other factors, the doctor will decide if Botox treatment is right for you. If it is, you will be advised on the precautions to take before treatment. Kaya’s Botox treatment is designed to provide multiple benefits. The Youth Boost Services can treat not just dynamic wrinkles, it's also designed to treat dark circles and to rejuvenate your skin. Botox is injected in minute doses in the neuromuscular tissue that controls the targeted muscle. The muscle then stops receiving the nerve signals that activate it. The always relaxed muscles stop causing the wrinkles, an ideal solution for crow’s feet. To enhance the appearance of your eyes, Kaya Skin Clinic combines this with platelets therapy. Using plasma extracted from your own blood, the area around the eyes are infused with platelets. These platelets release growth factors. These help stimulate new cell growth and the renewal of collagen, which corrects under eye wrinkles and removes dark circles. Your eyes, besides losing their crow’s feet, begin to look brighter and younger, without any under eye sagging or wrinkling. You will be given certain instructions to prevent side effects and to get the best benefits from this Youth Boost Botox treatment. Apart from that, you will not have any downtime from the procedure. You will begin to notice the results immediately and the Botox effect can last for up to a few months. How to Choose Between Botox and Dermal Fillers? Bothered by wrinkles, loose skin, hollow cheeks and other ageing issues? You must be aware of Botox and Dermal Fillers to correct wrinkles and skin folds. So perhaps you’re just confused about which you should choose? Botox is a mild form of a neurotoxin produced by a bateria. Injected in very small doses, Botox can be used to smooth out certain wrinkles and lines. In fact, Botox can also be used to treat conditions like migraine, uncontrollable blinking, muscle spasms in neck and shoulders etc. For cosmetic purposes, Botox has a specific use. It can help reduce dynamic wrinkles. These wrinkles are caused by frequent muscle movement. When you laugh, your eye corners crinkle, and when you frown, lines appear between your brows. When you lift your eyebrows, small horizontal lines appear on your forehead. 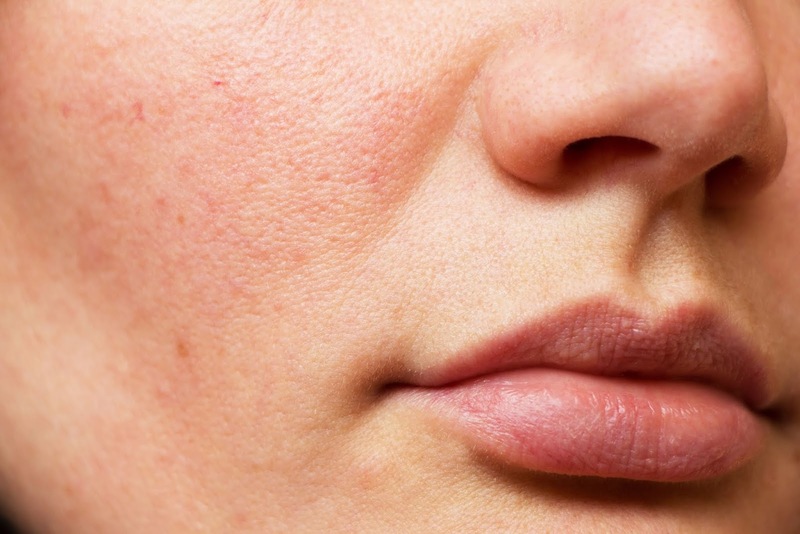 When you smoke, you pucker up your lips and this causes wrinkles around the lip region. When you are young, these wrinkles are temporary, once the muscle relaxes, the lines and wrinkles go away. However, as you keep using these muscles over a period of several years, these lines and wrinkles get permanently embedded into your skin, like the lines in a frequently folded sheet of paper. Botox can help in treating these dynamic wrinkles. 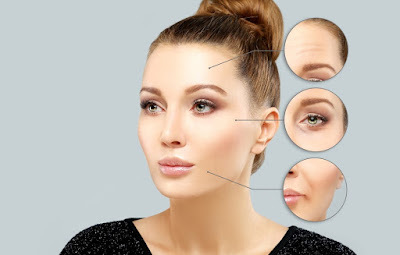 Botox is usually used to reduce wrinkles on face like frown lines, forehead wrinkles, and crow's feet near your eyes. It can also be used to smooth out wrinkles between your nose and lips and under the lips. It can be used to tighten your neck skin. With age, neck skin becomes folded in vertical lines and also begins to sag. This is also caused by muscle movement, making it an appropriate target for Botox treatment. Botox is a neurotoxin. It can be used to cut off signals that control the movement of specific muscles. It is used in very small doses, and when injected into the correct area, it can relax the muscle and give your face a smoother appearance. The doctor takes a small dose of Botox. This is injected into the neuromuscular tissue. Botox cuts off the communication between the nerves and the specific muscle that causes the wrinkling. When the muscle receives no signals to activate it, it stays relaxed, in effect, it is paralysed. Botox effect is temporary, it wears off after a few months. So, you needn't worry about the muscle paralysis, it will become active again unless you take another Botox injection. Botox can be the best choice as a solution for crow’s feet, and to correct forehead wrinkles. Botox treatment can be precisely targeted to control specific muscles. Look for experienced doctors at reputable clinics like Kaya to perform the procedure. Performed in safe and well-equipped facilities by experienced doctors, Botox is a safe treatment, causing minimal discomfort. Dermal fillers are made from substances like Collagen, Calcium Hydroxyapatite, and Hyaluronic Acid. Currently, many fillers are made of Hyaluronic Acid, which is naturally present in your skin around your eyes, and in other regions. This sugar compound hydrates the skin and each Hyaluronic Acid molecule is capable of holding volumes of water a thousand times its own weight. When injected, dermal fillers do not paralyse muscles. Instead, they fill out wrinkles and restore structure and fullness. Dermal fillers can be used as treatment for wrinkles and folds caused by collagen breakdown, they can add volume to your cheeks and other areas made hollow by tissue loss and collagen disintegration. Dermal fillers are also injectable, and need a certified and experienced professional to carry out the procedure properly. Done well, it can really restore youth and vitality to your skin. You should consider Botox when you want to correct wrinkles caused by muscle movement. Choose dermal fillers when you want to rid yourself of deep wrinkles and sagging skin caused by collagen and elastin breakdown. Botox and Filler effects are both reversible. Botox works by immobilizing muscles, while anti-ageing fillers fill out wrinkles. Botox treatment can last anywhere from three months to a year. Dermal fillers generally last longer depending on the strength of the filler used. Kaya Clinic offers both Botox and Dermal Filler (Juvederm Filler) Treatments. These are carried out by well qualified and experienced medical professionals in a safe environment. Go for a consultation to help determine which treatment is suitable for you. Sometimes, Botox and Filler treatments are combined together to give best results. Skin care is vital to keep yourself healthy and beaming. Pollution and the harsh rays of the sun can do a lot of damage that can be reversed with the right kind of facial. While most believe that scrubs and face washes used at home are sufficient to keep the skin healthy, they don't give you a deep clean. Skin care is a good practice that involves indulging in professional treatments that can do wonders for your skin. Skin is a sensitive organ and is reactive to hormones, stress, and other elements. It needs to be taken care of from time to time. Visit the nearest Kaya clinic in your city to pamper your skin with a wide range of beauty facials. Your skin requires a full cleanse that you cannot do at home. You need the pampering and professional expertise to make your pores breathe. Experts use gentle steam in all the right portions to make your skin fresh. This isn't something you can do by yourself. Your skin will gradually change over time. It requires proper maintenance. The different types of facial from Kaya Skin Clinic aim at maintaining the skin and making you feel younger every time. Experts can guide you through the treatment that your skin needs to keep your skin healthy. This way you can avoid long-term damage. There is Kaya’s Hydrate and Restore Facial that is perfect for those with dry skin and Kaya Clear Fresh Oil Control that is suitable for oily skin. These facials are curated for all skin types. When you head to a beauty counter, you will be suggested to buy products that can cover the flaws on your skin. However, most of these do more harm than good to your skin. Focus on making your skin healthy and flawless. Several treatments improve the overall condition of the skin. They can have a strong impact on your skin. These include the Kaya Antox Ultra Sheen Therapy and the Kaya Dream Regen 4 Layer Therapy. Facials are extremely relaxing. The massages, that are a part of the treatments, make the experience worth it. After all, you deserve the pampering. There are treatments that you cannot do by yourself at home as they might not be as effective as with a clinic. Unwind and let a professional deal with your skin. Kaya Signature Face Therapy can be a real stress reliever for you. Facials are not quick fixes. So, you need to ensure you have a schedule you are sticking to. Some treatments are done in sessions. They need to be completed to see the desired effect on your skin. A facial, once in every few months, can do real magic on your skin. Don't forget to visit the skin clinic to get your skin treated -- to be healthier and cleaner than before. Flawless skin will make you feel comfortable in your own skin. This is bound to boost your confidence and get you walking with pride. Acne and other skin problems are quickly taken care of with the right facial when used over time. Exfoliated skin can give you a radiant glow that adds to your confidence. Dermatologists at Kaya will tell you which facial your skin needs to get its lost shine and glow back. There are facials for brides as well. You can opt for a complete bride package as well that consists of a number of services based on your skin needs. You can even read some Kaya Skin Clinic reviews to know about the experience of the customers.